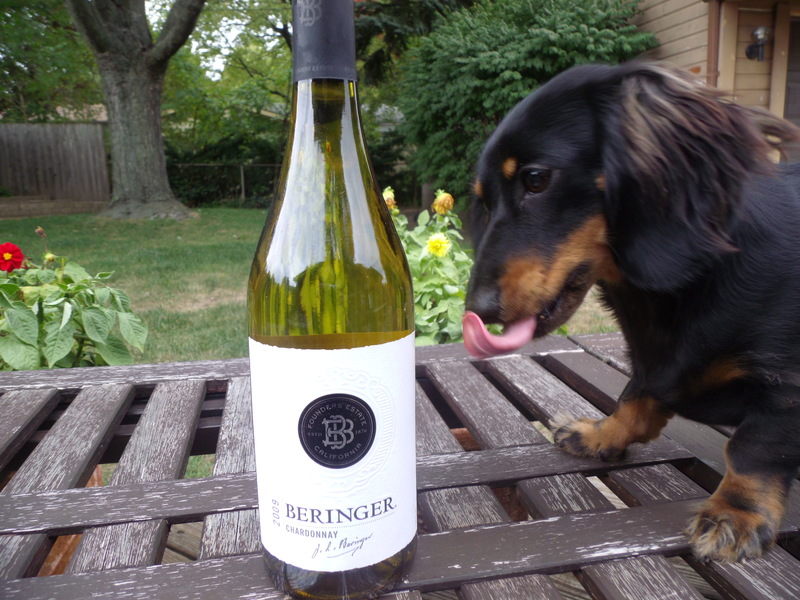 Wine Review: 2009 Beringer Founders Estate Chardonnay | Wine Splash! Temptation has the best of our Wine Dox Daisy! There are many names that stand out in the world of wine and one you can’t forget is the Beringer name. When you hear that name, you can always be assured that you will be sipping a decent glass of wine. And after a long day at work, this wine really hit the spot today! On sight, this chardonnay was daybright with a yellow hue. On the nose, aroma’s of tropical fruits, apples, and a hint of oak. On the palate, this chardonnay was medium in weight with a definitive round mouthfeel. Bright flavors of pear, citrus, and pineapple burst forward like an ocean wave! A clean, crisp finish with a touch of light oak. Pair this chardonnay with most any chicken dish, medium cheeses, grilled fish and seafood, pasta’s with a cream sauce, and fresh salads. This is a nice, refreshing, everyday type of wine that you wouldn’t mind having…. well…. everyday! We give this 2009 Beringer Founders Estate Chardonnay 87 points. Great flavors, fresh, and pairs well with many foods. If you have a 2009 vintage, I would drink this sometime in 2013 at the latest. Life is too short to drink bad wines so drink this one instead and enjoy! Winesplashing! !